One of the most iconic things about your website and brand are the images and visual identity that you choose to identify your company. To develop a visual style, you need to curate a gallery of images that really express your company as a brand. To do this, you need to make sure that the images you use are either licensed from sites such as Shutterstock, or make sure that they are free-to-use. Free-to-use images refer to other people’s photography and graphics that they have marked as free to use by anyone. There are varying degrees of this, with some creators requiring attribution if you use their images – you can find out more about this in our guide to copyright on images. 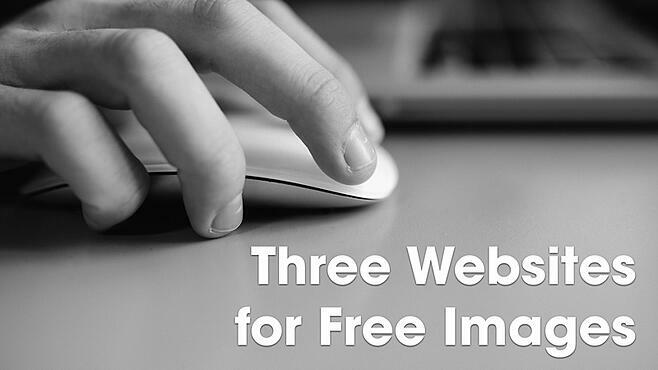 There are images that offer completely free images to use, or images that you can use with creator attribution, below is our list of 3 top image sites that offer free-to-use images. Pexels is our first go to for free-to-use images. It offers a huge, constantly updated collection of the best free to use stock images. The best thing about Pexels is that all the images on the site are under the Creative Commons Zero (CC0) license. Meaning that they are all free to use for any legal use, including commercial use and modification and attribution is not required. This means that you can modify and use them for any legal purpose. As with the Pexels website, every picture has a creative commons zero license, meaning that you can do whatever you’d like with the pictures. The reason that Unsplash makes our list of go-to sites is that users can make collections, meaning that if you are searching for a particular style or colour, you can search through people’s collections – see the example of an orange collection below. This makes our list out of pure convenience! Instead of searching for photos as and when you need them, Death to the Stock Photo asks you to sign up to receive a set of Creative Commons Zero licensed photos straight to your inbox every month for free. Although you can’t control what you receive each month, the pictures will always come in useful for blog posts, social media and other articles on your site. There are many more sites where you can get free images, and where you can find out about creative commons and image rights. To find out more about them feel free to get in touch via twitter or our website.